A slice of light, tasty sponge cake and a cup of delicate Earl Grey tea both served from fine bone china on a sunny afternoon, on a blanket by the riverside - if only life could always be like this. But sponge cakes can sometimes turn out less than perfect. Sometimes they don't rise properly in the oven resulting in a heavy, dull cake. Sometimes the flavour just doesn't tickle the tastebuds the way a really good sponge cake should. What can you do to liven up a dull sponge cake and make it a mouth-watering treat - even if you aren't eating it by a riverbank in the countryside on a warm, sunny afternoon? Why do sponge cakes sometimes fail to rise properly in the oven? 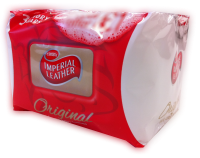 Sponge cake mix contains a leavening agent, and over time, it loses its potency. The solution is to add a teaspoon of baking powder to the mix. You will see the batter bubble with activity in the mixing bowl; giving you the assurance that the cake will rise splendidly in the oven. An egg is an essential ingredient in sponge cakes; it acts as a binder to give the cake body and keep it firm after baking is finished. But egg also adds flavour and two eggs add even more flavour. Whisk the eggs lightly before adding to the batter to get a smoother mix and add less water than instructed to avoid the batter getting too thin. The batter should be light to help it rise well in the oven; but if it is too thin the cake will not set well. Add a tablespoon of vanilla essence to the batter to give it a delicate aroma and extra flavour. If you are bold you can use other flavourings or food colours. The instructions on a pack of Greens Sponge Cake Mix recommend baking your cake for 12 minutes at a temperature of 400F. I recommend using a lower temperature. If you have added extra baking powder to the mix there is a danger the batter will rise so dramatically that it will spill all over your oven before it bakes. Turn the thermostat down to 350F and leave the cake in the oven until the top turns the colour you would like to see when you look in the mirror after a fortnight in the Bahamas. You will need to bake two sponge cakes; one with red food colouring and one with yellow food colouring. Cut them both into two pieces about an inch square and about four inches long. Stick one red piece and one yellow piece together along their length with jam. Do the same with the other two pieces then stick the two pairs together, one atop the other so that you get alternating colours in the two layers. Roll out some marzipan, spread with more jam and wrap it around your sponge cakes. Bob's your uncle. Warm a generous quantity of Lyles Golden Syrup in a saucepan. Cut your sponge cake into circular portions about two or three inches in diameter and about two inches thick. 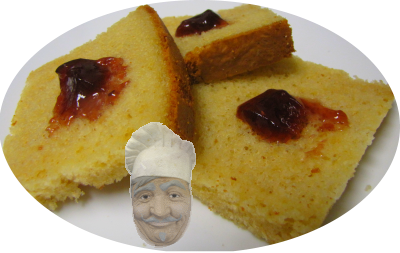 Roll the cut sponge cake in the hot syrup then serve immediately. Cut your sponge cakes into the same shape as for Treacle Sponge. Boil half a cup of water with as much sugar as can be dissolved in it until the liquid turns a nice amber colour. Remove from the heat and stir in milk or coffee cream until the mixture turns into a thick, sticky toffee. Pour or spoon the toffee over the cut sponge cake portions and serve immediately. Make a sauce as in Sticky Toffee Pudding, but instead of adding milk, add lemon juice. You could also add lemon juice instead of vanilla essence to the batter before baking the cake. Slice the whole sponge cake horizontally into two pieces of the same thickness. Spread one piece with strawberry jam. Spread the other piece with whipped cream then place the two pieces together as a sandwich. Dust the top of the cake with icing sugar.